Although his contribution to the clarinet world is not well known outside his hometown of New York City, the composer and clarinetist Harold Seletsky (1927-2010) wrote hundreds of works for the instrument in styles ranging from avant-garde to klezmer. His haunting unaccompanied quarter-tone solos showcase his idiosyncratic use of a 24-tone scale and his Concertino for Klezmer Clarinet and String Quartet won first prize in the American Society for Jewish Music’s 1998 International New Music Competition. Harold studied composition with Josef Schmidt, a prize student of Alban Berg, who came to this country to escape the Nazi’s. In the Old World tradition of apprenticeship learning (vs. the university system) the dozen or so students in Schmidt’s studio learned the craft of composition using Arnold Schoenberg’s meticulous pedagogical system. By the late 1950’s Harold was writing multi-movement works in the 12-tone system including his Sonata for Clarinet and Piano, recorded here at Symphony Space in 2010 – Seletsky Sonata. He eventually abandoned Schoenberg’s 12-tone system in favor of the 24-tone scale. His love of quarter-tones informed many of his compositions from avant-garde chamber works to klezmer freylekhs (Robin’s Piece). Despite his success, however, he was never fulfilled by this turn his career had taken. He very much felt as if he had “sold out”. Jingles and commercial work was the antithesis of the music of Bach, Beethoven and Brahms – the deep and profound music that spoke to him so passionately. By his later years he was finally able to be free of the need to compose solely for money and got out of the commercial world once and for all. There was so much more to Harold’s musical life, however, than formal composition. Having grown up dirt poor in Williamsburg, Brooklyn during the Depression, his first paying jobs were playing “club dates” in the Borscht Belt hotels in the Catskill Mountains. He, of course, respected the musicianship of Benny Goodman but it was Artie Shaw’s style that had the bigger influence on him. In addition to being steeped in the 1940’s swing style, Harold was shaped first and foremost by the music he heard growing up – Yiddish folk music now referred to as Klezmer but simply called back then “Jewish”. If you were “Playing Jewish” on a club date it meant the portion of the gig where the familiar shers, bulgars and freylekhs were performed to the delight of the Yiddish speaking guests at a wedding or show. During the klezmer revival begun in the 1990’s, Harold revisited that genre but with a newly formed ensemble, The West End Klezmorim, so named because they had a standing gig at Art Lugoff’s West End Gate. 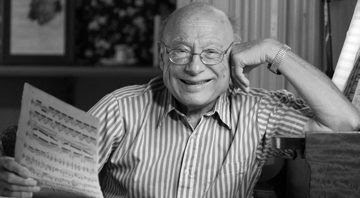 Coming full circle, Harold now wrote scores of Jewish inspired compositions including klezmer tunes, songs, nigunim, a full Shabbat service and more. Band style of the ’40’s. He was tireless in his quest to grow as an instrumentalist, incorporating progressive harmonies into his clarinet improvisations and always trying to learn from the young and adventurous players with whom he surrounded himself. informs all of my music making to this day.